Welcome to the first day of spring. Can we finally say bye-bye to this dreadful winter? 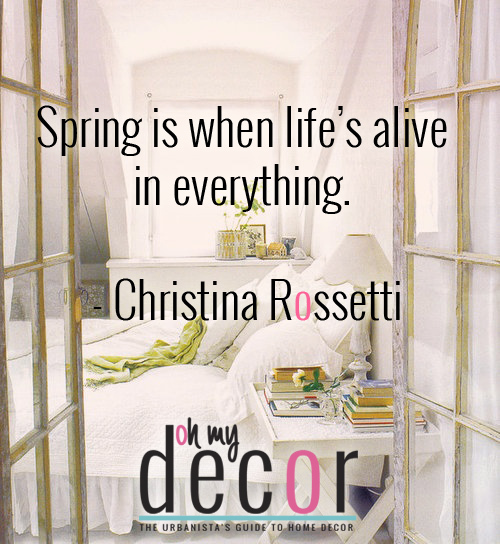 Nonetheless here is a spring inspired quote to help you welcome in spring. Use spring as an excuse to get your life organized and back on track. Start doing the things you’ve dreamt about all winter. Come alive!